Facebook is down - for a few hours? 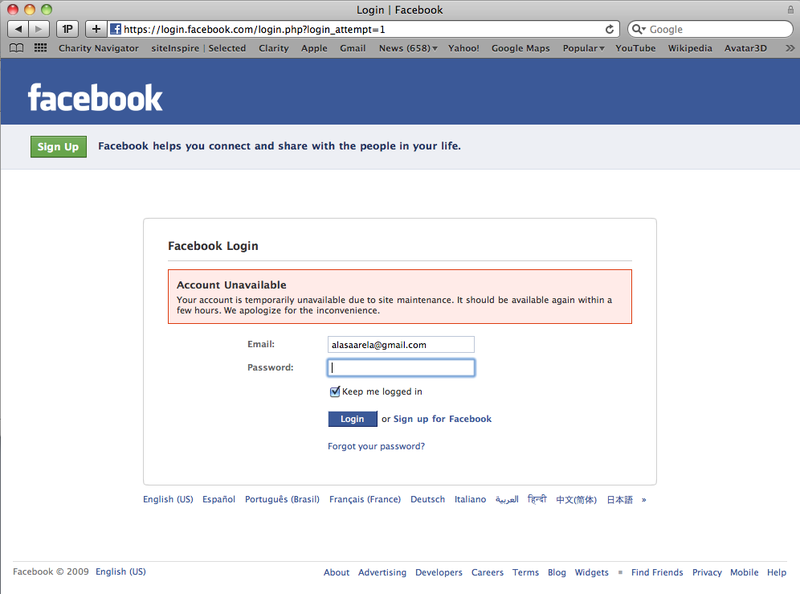 I tried to login to Facebook, and got this. Down for a few hours in a middle of a day? ?